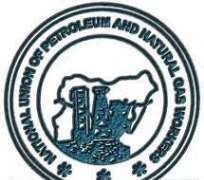 The National leadership of Nigeria Union of Petroleum and Natural Gas Workers (NUPENG) is urgently drawing the attention of the general public to the oppressive and high handedness of the Management of Sterling Energy Exploration Company (SEEPCO) and its drilling arm, British Oil and Gas Limited (BOGEL) to the legitimate demand of the workers to belong to the Union. In same vein, we are earnestly seeking for immediate intervention of the Federal Ministry of Labour and Employment, Group Managing Director of Nigerian National Petroleum Corporation (NNPC), Chief of Army Staff, Inspector General of Police, and the Acting Director General of Department of State Security and other relevant stakeholders in the Oil and Gas industry to apprehend a brewing industrial relations crises in Kwale, Warri area of Delta States. For the record, five drilling oil rigs being operated by Sterling Energy Exploration Company (SEEPCO) and its drilling arm, British Oil and Gas Limited in Kwale, Warri area of Delta State, have been in operation for several years now, with continued refusal by the management of these drilling companies to allow workers to join the union. Workers of these drilling rigs have overtly indicated their willingness and readiness to join the union of their choice and the Nigeria Union of Petroleum and Natural Gas Workers has responded appropriately to the request of these workers with several requests for union recognition from the management. Unfortunately, rather that following path of decency and global best practices, the management of Sterling Energy Exploration Company (SEEPCO) and its drilling arm, British Oil and Gas Limited have resulted to high handedness and violence through the use of military men and armed militias to forcefully evacuate over 2500 workers from the five drilling rigs. These companies are Indian operated companies and NUPENG found it grossly unfortunate and unacceptablethat these companies would beusing brute force to dehumanize, terrorize, and victimize Nigerians in their own country. As a responsible and responsive trade Union organization, we cannot and shall not fold our arms and watch our members being dehumanized and terrorized in the course of demanding for their legitimate rights that are purely recognized by Labour rules and even International Labour Organization charter. To avoid further escalation of this current unhealthy situation and considering the collateral damage it might cause the nation, NUPENG is earnestly asking all the aforementioned stakeholders to call the management of these companies to order and direct them to follow path of decency and best practices by granting the legitimate wishes of the workers to freely associate and be unionized without any further encumbrance or limitations. By this press release, we are placing all our members on red alert as they might be called upon at very short notice to withdraw their services nationwide in solidarity with their oppressed colleagues if this situation is not addressed immediately. It is our resolve to always work with all employers of workers in the oil and gas industry with the primary aim of entrenching and sustaining industrial peace and harmony in the overall interest of the country; however, we would never hesitate to stand firm in protecting the interest of our members particularly when their rights are being violated.